True Success Stories Archives - Ignite Christian Church Who among us doesn’t want success in our lives? Thing is, most of us don’t even know what success looks like. Is it the big car, the big house or the fat bank account? Is it the perfect family, 2.4 children, or the perfect career or is it fame, fortune or fun? The dictionary defines success as “the accomplishment of an aim or purpose.” Or “the attainment of fame, wealth, or social status.” That’s worldly success, it’s the power with which to acquire whatever one wants in life, preferably without violating the rights of others. A Christian definition of success, true success, needs to go beyond just getting what you want without hurting others. Success is more than just power for you; it is the privilege of contributing to the betterment of others. God has plans for you, and as we saw last week, abiding in Christ and reading His Word daily will cause you to be successful in every area of your life. Joshua 1:8 (ESV Strong's) This Book of the Law shall not depart from your mouth, but you shall meditate on it day and night, so that you may be careful to do according to all that is written in it. For then you will make your way prosperous, and then you will have good success. Here are three reasons why people fail to achieve true success in their life. Some people are secure; they don’t need to prove anything. They’re happy, content, and they like what’s happening to them, happy with their lot in life. But if God has great plans for you, then stopping short is short changing yourself, and others around you. If you’re content with everything in your life, then you will never be all you can be, because whatever we achieve, there is always more in Christ! Romans 12:11 (ESV Strong's) Do not be slothful in zeal, be fervent in spirit, serve the Lord. Many people want true success, but they don’t even know what success looks like! Do you know what Christ has for you in your life? Research shows that approximately 95 percent of us have never written out our goals in life, but of the 5 percent who have, 95 percent have achieved those goals. In 1953 at Yale University, 3 percent of the graduating class had specific, written goals for their lives. In 1975, researchers found that the 3 percent who wrote down their goals had accomplished more than the other 97 percent put together. Proverbs 16:9 (ESV Strong's) The heart of man plans his way, but the Lord establishes his steps. So, by all means select your goal, but if you want true success in life, select a goal that is not really yours, it’s God’s goal for your life. Like Paul and his goal… Philippians 3:14 (ESV Strong's) I press on toward the goal for the prize of the upward call of God in Christ Jesus. So what does a godly goal look like? Firstly, your goal must include others. No goal is worthwhile if it is just for you. Set a goal big enough to include and help other people. Next, it must be worthwhile. A frivolous goal is a worthless one, even if you achieve it. Your goal must be measurable. You need a way to see if you are making any progress towards true success. Finally, your goal must be expandable. Don’t set your goals in concrete. If your goal is not expandable, it’s expendable. As we grow, we see the picture more clearly, and we continually need to “up” our goals, to progress them into something even greater. It’s a sad day when we think we have achieved all our goals and have nothing else to do. Most of us have far more potential than we think, and than we will ever realise! If you are in Christ, when God looks at you, he doesn’t see your failure, He doesn’t see your past sins, He sees potential. A person can sit and count the seeds in an apple, but only God can count the apples in a seed! Ephesians 3:20 (ESV Strong's) Now to him who is able to do far more abundantly than all that we ask or think, according to the power at work within us, Remember, you are joined into the unlimited power supply of the vine of Christ. And God sees amazing potential in you, but what are the steps towards unlocking this potential and true success? Take the time to look around and see if there is someone who seems to be fulfilling their potential more than you. As Aussies we are particularly skilled and the tall poppy syndrome, chopping other more successful people down to size. This is a stupid trait we need to eliminate from our culture, because we should not only build up others, but get beside them and learn how they became successful, and use that information to strive for our own brand of success in Christ. I modelled much of how I face life’s situations on my dad, who always seemed wise, graceful, generous and strong in all his dealing with people. I look up to him and others and try to learn from them. They might stretch me a bit, but it means I’m growing into the person God wants! Hebrews 13:7 (ESV Strong's) Remember your leaders, those who spoke to you the word of God. Consider the outcome of their way of life, and imitate their faith. So who do you look up to, especially in the Christian walk? To reach your potential, you must be prepared to give up at any moment all that you are and all that you have in order to receive what God has for you. Many people don’t understand this. They want to hang on to what they are and at the same time be all they can be. You have to let go. Moving into God’s destiny and true success always costs. Abraham gave up his home to follow God, Moses gave up riches, David gave up security, Paul gave up tradition. Andre Rieu gives up 4-5 hours a day to practice the violin, even when touring. He’s fired up, and prepared to give up time to invest in his craft, and so should you! Even Jesus gave up His glory with the Father to fulfil His destiny and give His life for all of us. Philippians 2:6-7 (ESV Strong's) who, though he was in the form of God, did not count equality with God a thing to be grasped, but emptied himself, by taking the form of a servant, being born in the likeness of men. Are you ready for true success, to empty yourself of your own desires? What do you have to give up to move towards spiritual success in your life? Is it time, to invest in a quiet time? Is it people who are holding you back? Is it a stubborn attitude that is stopping progress? If you want to see true success in 2019, get fired up! Get excited, get enthused! Romans 8:18 (ESV Strong's) For I consider that the sufferings of this present time are not worth comparing with the glory that is to be revealed to us. Wherever you are at right now is nothing compared to what God wants to achieve in and through your life. What’s the next thing you want to do for Him? What’s the next Bible book you want to study? What’s the next role you want to fulfil in church? Who is the next person you want to share Christ with? There is more, always more, for you as a person and for us as a church, if we’re fired up… ignited! Many people run when they face challenges in their lives, but successful people show up and face those challenges down. They show up for that course, they attend that connect group, they strive to never miss an opportunity, even if it seems hard. Isaiah 41:13 (ESV Strong's) For I, the Lord your God, hold your right hand; it is I who say to you, “Fear not, I am the one who helps you.” Fear knocked at the door. Faith answered. There was no one there. Show up and face whatever life throws at you to reach your God given potential and destiny. To become successful and reach your God given potential, it takes courage and it takes faith to step up, step out on a limb and step into your destiny. Many people come to church and get fired up, but when the moment comes they are too scared to step up and take a chance and attain true success. A young man working for an advertising firm in Kansas City grew tired of drawing two bit cartoons, eating beans and living in his office. He drew a character called Oswald, the lucky rabbit, and it was stolen from him. Desperate to succeed, he gave up his job, moved to Los Angeles with a dream of starting his own movie studio. But it all went wrong, and he was advised to give up the dream and just go broke. That was until he watched the mice feeding on garbage in the corner of his dingy, dirty office, he took a risk, drew a cartoon mouse called Mickey, and at that point Walt Disney pursued his dream and saw it all come true, saying, I dare to take risks, and pursue my vision until it comes true. Matthew 14:29 (ESV Strong's) He said, “Come.” So Peter got out of the boat and walked on the water and came to Jesus. Are you willing to step out of today’s boat and into what God has for you? MANY CHRISTIANS HAVE THE RIGHT AIMS IN LIFE; THEY JUST NEVER GET AROUND TO PULLING THE TRIGGER. What risk is God calling you to take this year? I don’t want to die until I have attempted something so outrageous that without God it is destined to fail! If we look up to a person who is reaching his or her potential, if we give up anything that hinders us from being our best, if we fire up our desires until we are no longer satisfied, if we show up to our challenges and not become fearful, and if we step up and take a chance, then we will go up. We’ll go up to the top of our potential—but only after we look up, give up, fire up, show up and step up. So that’s U= Unlock your potential. Jeremiah 29:11 (ESV Strong's) For I know the plans I have for you, declares the Lord, plans for welfare and not for evil, to give you a future and a hope. If He has a plan for your life, to prosper and not to harm you, then get on board and get committed to the plan! So how do you find and get committed to God’s plan in your life? Firstly, if you don’t get to know God, you can’t trust Him when things get tough. If a street person asks me for $100, I won’t give it to them, because I don’t know them. If my wife asks me, I will give it to her because I know her and I trust her. To trust someone, you need to get to know them, and to get to know God, you need to read His Word and come to church. Once again, a plug for the Bible Reading Plan … use it every day, and over the next few months you will be amazed at how you grow in Christ, and how much you get to know Him, and therefore trust Him! Next, what are your gifts and desires, because God’s plan will often align with these. What do others in church see in you, what gets you excited. What are you ministering in right now. Chances are that God’s plan extends from how you are currently serving, or how you would like to serve. If God has a plan for your life, for true success, is it wrong to make your own plans? Well sometimes God wants you to stop and wait, but the Biblical word for wait is qawa, which is an active, not a passive word. It means keep on going expectantly. It means keep doing what you’re doing and trust God. So make your plans, but as you chart your course, be flexible enough to let God guide you. Paul made plans to go straight to Rome, but a vision appeared which caused him to modify his plans and head to Macedonia. It is far easier to steer a moving ship then a stationary one, so make your plans but get ready to change… Proverbs 19:21 (ESV) Many are the plans in the mind of a man, but it is the purpose of the Lord that will stand. If you find a path that has no problems, you will find it leads nowhere, let alone to true success. You will face problems, and you should rejoice in these because it means you are on the right path. James 1:2-4 (ESV Strong's) Count it all joy, my brothers, when you meet trials of various kinds, for you know that the testing of your faith produces steadfastness. And let steadfastness have its full effect, that you may be perfect and complete, lacking in nothing. When you face adversity, you can either change the problem or the person. The best way is to change yourself, the person, and as you become more Christlike you will find yourself overcoming problems along the way. If you want true success in your life, surrender first to Jesus. Most people turn to the Lord when things get tough, they look to Jesus only as a last resort, but to be truly successful, turn to Him first… John Maxwell says, “Surrender to God the first part of every day, the first day of every week, the first portion of your income, the first consideration in every decision, and the first place in all of your life. When we surrender to him, then we have a power that really caps off the formula for success. Surrender is what brings power. We fight for power and we lose it; we surrender and we find it.” Matthew 6:33 (ESV Strong's) But seek first the kingdom of God and his righteousness, and all these things will be added to you. God is speaking to people in this room right now about surrendering, and giving up something that seems precious and placing yourself, no holes barred, totally committed into His hands. If you’ve been holding onto what you know and are comfortable with, today is the day to surrender it all and to move towards true success in your life! True success is awaiting us in 2019! Who among us doesn’t want success in our lives? Thing is, most of us don’t even know what success looks like. Is it the big car, the big house or the fat bank account? Is it the perfect family, 2.4 children, or the perfect career or is it fame, fortune or fun? The dictionary defines success as “the accomplishment of an aim or purpose.” Or “the attainment of fame, wealth, or social status.” That’s worldly success, it’s the power with which to acquire whatever one wants in life, preferably without violating the rights of others. A Christian definition of success, true success, needs to go beyond just getting what you want without hurting others. Success is more than just power for you; it is the privilege of contributing to the betterment of others. God has plans for you, and as we saw last week, abiding in Christ and reading His Word daily will cause you to be successful in every area of your life. Some people are secure; they don’t need to prove anything. They’re happy, content, and they like what’s happening to them, happy with their lot in life. But if God has great plans for you, then stopping short is short changing yourself, and others around you. If you’re content with everything in your life, then you will never be all you can be, because whatever we achieve, there is always more in Christ! Do not be slothful in zeal, be fervent in spirit, serve the Lord. Sometimes we are afraid because success puts pressure on us to continue to succeed. A person who gets straight As on a report card sets a pattern of achievement and must keep achieving. Sometimes we just don’t want to be responsible, so we shrink from success. Some think that success will isolate them and see them lonely, different or shunned by others. Risk is another reason; people don’t want to stick their necks out. There are many more reasons, but the main point is that some people are afraid of true success. Some think that to have true success, you have to be full of pride, that you can’t be humble and you can’t be spiritual. Look at Abraham, Joshua, Nehemiah, David, Solomon, Paul and many others, and you will see that’s simply not true. People who are successful and humble are a joy and inspiration to others around them! Thus says the Lord: “Let not the wise man boast in his wisdom, let not the mighty man boast in his might, let not the rich man boast in his riches, but let him who boasts boast in this, that he understands and knows me, that I am the Lord who practices steadfast love, justice, and righteousness in the earth. Many people want true success, but they don’t even know what success looks like! Do you know what Christ has for you in your life? Research shows that approximately 95 percent of us have never written out our goals in life, but of the 5 percent who have, 95 percent have achieved those goals. In 1953 at Yale University, 3 percent of the graduating class had specific, written goals for their lives. In 1975, researchers found that the 3 percent who wrote down their goals had accomplished more than the other 97 percent put together. The heart of man plans his way, but the Lord establishes his steps. So what does a godly goal look like? Firstly, your goal must include others. No goal is worthwhile if it is just for you. Set a goal big enough to include and help other people. Next, it must be worthwhile. A frivolous goal is a worthless one, even if you achieve it. Your goal must be measurable. You need a way to see if you are making any progress towards true success. Finally, your goal must be expandable. Don’t set your goals in concrete. If your goal is not expandable, it’s expendable. As we grow, we see the picture more clearly, and we continually need to “up” our goals, to progress them into something even greater. It’s a sad day when we think we have achieved all our goals and have nothing else to do. Most of us have far more potential than we think, and than we will ever realise! If you are in Christ, when God looks at you, he doesn’t see your failure, He doesn’t see your past sins, He sees potential. A person can sit and count the seeds in an apple, but only God can count the apples in a seed! Remember, you are joined into the unlimited power supply of the vine of Christ. And God sees amazing potential in you, but what are the steps towards unlocking this potential and true success? Take the time to look around and see if there is someone who seems to be fulfilling their potential more than you. As Aussies we are particularly skilled and the tall poppy syndrome, chopping other more successful people down to size. This is a stupid trait we need to eliminate from our culture, because we should not only build up others, but get beside them and learn how they became successful, and use that information to strive for our own brand of success in Christ. I modelled much of how I face life’s situations on my dad, who always seemed wise, graceful, generous and strong in all his dealing with people. I look up to him and others and try to learn from them. They might stretch me a bit, but it means I’m growing into the person God wants! So who do you look up to, especially in the Christian walk? To reach your potential, you must be prepared to give up at any moment all that you are and all that you have in order to receive what God has for you. Many people don’t understand this. They want to hang on to what they are and at the same time be all they can be. You have to let go. Moving into God’s destiny and true success always costs. Abraham gave up his home to follow God, Moses gave up riches, David gave up security, Paul gave up tradition. Andre Rieu gives up 4-5 hours a day to practice the violin, even when touring. He’s fired up, and prepared to give up time to invest in his craft, and so should you! Even Jesus gave up His glory with the Father to fulfil His destiny and give His life for all of us. who, though he was in the form of God, did not count equality with God a thing to be grasped, but emptied himself, by taking the form of a servant, being born in the likeness of men. Are you ready for true success, to empty yourself of your own desires? What do you have to give up to move towards spiritual success in your life? Is it time, to invest in a quiet time? Is it people who are holding you back? Is it a stubborn attitude that is stopping progress? If you want to see true success in 2019, get fired up! Get excited, get enthused! Wherever you are at right now is nothing compared to what God wants to achieve in and through your life. What’s the next thing you want to do for Him? What’s the next Bible book you want to study? What’s the next role you want to fulfil in church? Who is the next person you want to share Christ with? 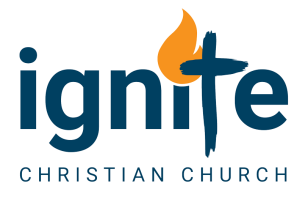 There is more, always more, for you as a person and for us as a church, if we’re fired up… ignited! Many people run when they face challenges in their lives, but successful people show up and face those challenges down. They show up for that course, they attend that connect group, they strive to never miss an opportunity, even if it seems hard. Fear knocked at the door. Faith answered. There was no one there. Show up and face whatever life throws at you to reach your God given potential and destiny. To become successful and reach your God given potential, it takes courage and it takes faith to step up, step out on a limb and step into your destiny. Many people come to church and get fired up, but when the moment comes they are too scared to step up and take a chance and attain true success. I dare to take risks, and pursue my vision until it comes true. He said, “Come.” So Peter got out of the boat and walked on the water and came to Jesus. Are you willing to step out of today’s boat and into what God has for you? MANY CHRISTIANS HAVE THE RIGHT AIMS IN LIFE; THEY JUST NEVER GET AROUND TO PULLING THE TRIGGER. What risk is God calling you to take this year? I don’t want to die until I have attempted something so outrageous that without God it is destined to fail! If we look up to a person who is reaching his or her potential, if we give up anything that hinders us from being our best, if we fire up our desires until we are no longer satisfied, if we show up to our challenges and not become fearful, and if we step up and take a chance, then we will go up. We’ll go up to the top of our potential—but only after we look up, give up, fire up, show up and step up. So that’s U= Unlock your potential. If He has a plan for your life, to prosper and not to harm you, then get on board and get committed to the plan! So how do you find and get committed to God’s plan in your life? Firstly, if you don’t get to know God, you can’t trust Him when things get tough. If a street person asks me for $100, I won’t give it to them, because I don’t know them. If my wife asks me, I will give it to her because I know her and I trust her. To trust someone, you need to get to know them, and to get to know God, you need to read His Word and come to church. Once again, a plug for the Bible Reading Plan … use it every day, and over the next few months you will be amazed at how you grow in Christ, and how much you get to know Him, and therefore trust Him! Next, what are your gifts and desires, because God’s plan will often align with these. What do others in church see in you, what gets you excited. What are you ministering in right now. Chances are that God’s plan extends from how you are currently serving, or how you would like to serve. If God has a plan for your life, for true success, is it wrong to make your own plans? Well sometimes God wants you to stop and wait, but the Biblical word for wait is qawa, which is an active, not a passive word. It means keep on going expectantly. It means keep doing what you’re doing and trust God. If you find a path that has no problems, you will find it leads nowhere, let alone to true success. You will face problems, and you should rejoice in these because it means you are on the right path. When you face adversity, you can either change the problem or the person. The best way is to change yourself, the person, and as you become more Christlike you will find yourself overcoming problems along the way. God is speaking to people in this room right now about surrendering, and giving up something that seems precious and placing yourself, no holes barred, totally committed into His hands. If you’ve been holding onto what you know and are comfortable with, today is the day to surrender it all and to move towards true success in your life!